The Body Shop celebrates 20 years with one of their top selling product ranges, that nearly didn’t hit the shelf. Disrupting the beauty industry since 1976, the brand seems to be at the forefront of fighting for more ethical beauty. The company was founded in Brighton England by Anita Roddick, a business woman, entrepreneur and human rights / environmental activist. In the early days of The Body Shop, Anita began by creating skin care products that could be put into simple refillable containers or sample sizes. Her focus was to create products that were naturally inspired, not tested on animals [The body shop has a strict “FOREVER AGAINST ANIMAL TESTING” policy], and put the least strain possible on our ecosystem. This format of reusable packaging was way ahead of it’s time, to say the least. It was through her relentless battles and advocacy for the magical “miracle crop” hemp, that she made her biggest environmental impact. Hemp is a varietal of the “cannabis sativa” plant, which is specifically cultivated to make industrial products like skin care [from the hemp seed oil], hemp fibres which are formed into ropes and textiles, food (sprinkle some hemp seed on your avocado toast – it’s a game changer) and multitude of other uses. Not to get too technical, but hemp also has extremely low levels of THC (tetrahydracannabinol) [The part the psychoactive compound that “gets you high”]. Industrial hemp does have moderate to high levels of CBD which is used to relieve arthritis, pain and help with epilepsy. Hemp Seed Oil also carries very high quantities of Essential fatty acids (Omega 3, Omega 6, Omega 9, Vitamins A / E / B12, folic acid, magnesium, iron and potassium. While the versatility and multitude of beneficially uses of the Hemp plant is undeniable, it was an uphill battle for acceptance. This miracle plant proved to have a huge positive impact that transcended the products. The Hemp plant is four times more effective at collecting CO2 than trees, and requires no pesticides. Hemp also assists in the natural regeneration of the soil, which aides in rebuilding the atmosphere. Okay, that was pretty technical. But important to know! The Body Shop also procures all of their community trade hemp seed oil, from a secret facility located in France. “The balance of essential fatty acid in hemp seed oil works with the skin’s own oils to provide intense hydration to the body’s largest organ.” – Jennifer Hirsch, Beauty Botanist, The Body Shop While the Hemp specific line only launched in 1998, The Body Shop has been using hemp as a lead ingredient in their products since 1992. The Body Shop worked closely with health Canada for 8 months leading up to the launch to ensure they were legally able to sell the product. In the days leading up to the launch they had hit a snag, and they had to prepare for the worst. The day of the launch there was an emergency meeting called between The Body Shop and Health Canada. While the launch was allowed to go on they had to modify several aspects of the event: no hemp wine or food as they felt there was to many different exposures to hemp, products had to be glued down and were not able to be sampled during the event and blackout bars were to be put overtop of the signage. While this may sound like the launch was unsuccessful, it was quite the opposite. The media attention garnered a record number of impressions and articles, “in the first week alone they reached nearly 12 million people with 190 articles”. The buzz caused almost all the products to sell out in the first week. 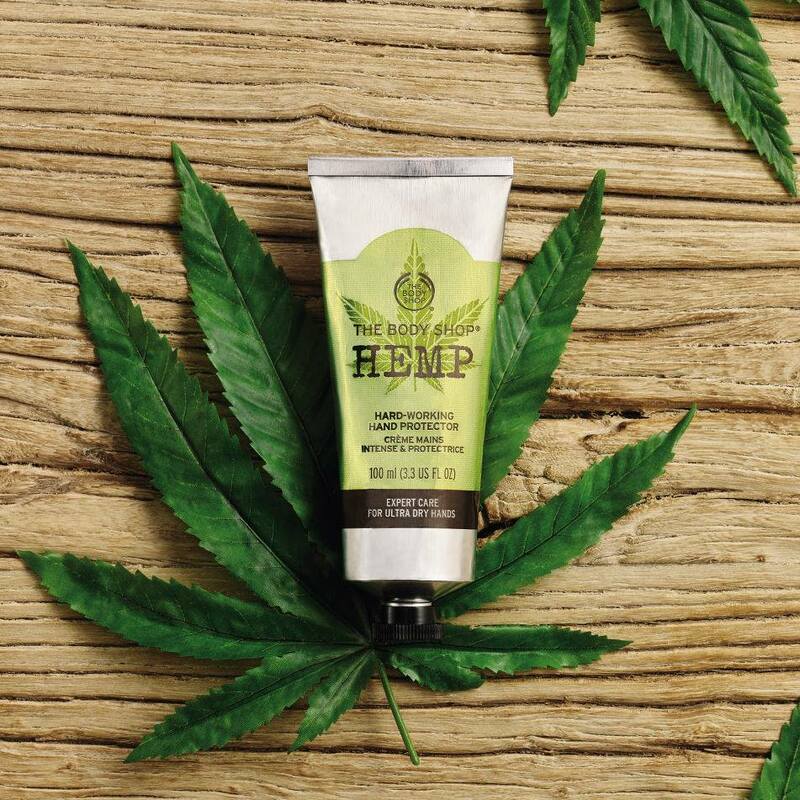 Within the first month The Hemp Line accounted for over 7% of the total sales for The Body Shop. I was a teenager when the hemp line launched in 1998, when Brandy and Monica if the boy was mine (or hers) and MP3’s had just changed the music industry. I was smack-dab-in-the-middle of every aspect of my awkward teenage years, pre-growth spurt, bad acne and some questionable fashion choices. I remember being in the mall when The Body Shop launched the hemp line because the branding and packaging. I was an early adopter to the line, starting with the Hemp Lip Protector and Hemp Hand Protector. The silver metallic tube with the green and black label and the cannabis sativa leaf on the front made me feel like a bit of a rebel. I still to this day use the Hemp Hand Protector, especially in the winter months when my hands easily become chapped and crack. The Hemp Hand Protector is really rich in texture without being greasy, and the natural scent is very mild. I hate when a hand cream is so artificially scented it competes, or worse yet clashes, with my cologne. Even better is that it truly lasts, I can put it on in the morning and even after the second time i’ve washed my hands, they’ve still retained moisture. I recently started using the Hard-Working Foot Protector in The Hemp Line and noticed that it helped to soften my callouses. It’s very rich in moisture, but I loved that my feet were not greasy after. I was able to put my shoes on almost immediately after putting the foot protector on and my feet were soft but not slippery. 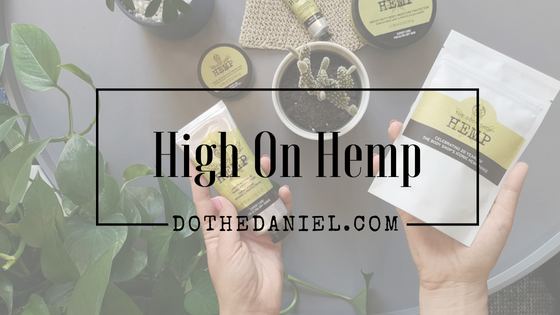 Now, 20 years later, the beauty industry is just starting to get into using hemp and CBD in their products. Perhaps this is due to the impending legalization of marijuana, or maybe it’s just time the industry decided to get out of the dark ages and take advantage of this miracle plant. 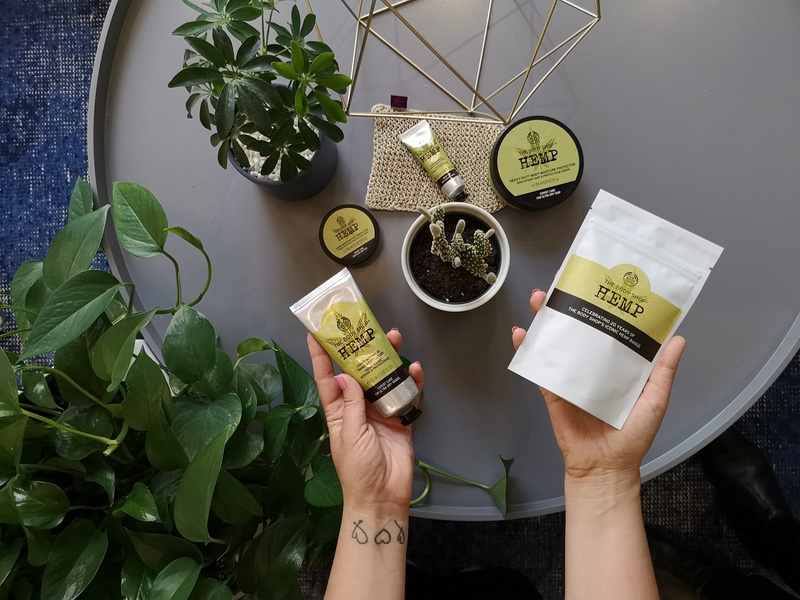 Either way and The Body Shop’s Iconic Hemp Line STILL​ lives up to it’s cult status, and that’s not just blowing smoke. To join in on the social media conversation around this, and many other amazing products available at The Body Shop, make sure to follow @TheBodyShopCA on Twitter & ‘Like’ their Facebook Page.